Hey! What's With All These Pages On The Defined Benefit and 401a Retirement Plan, Anyway? The quick and dirty read of this is that when a company such as United or GM declares bankruptcy and offloads their pension liabilities on the PBGC, the pensioner's income gets immediately dropped to a capped amount. For a fitter like me, figure a 50% reduction in the defined benefit is pretty close and 100% reduction in any non cash benefit . If a pension fund were to fail under inadequate funding without a bankruptcy, the pension fund would have had to cut down future benefits to apply the cash flow to meet existing reduced benefits and then failed to meet them for the PBGC to step in. 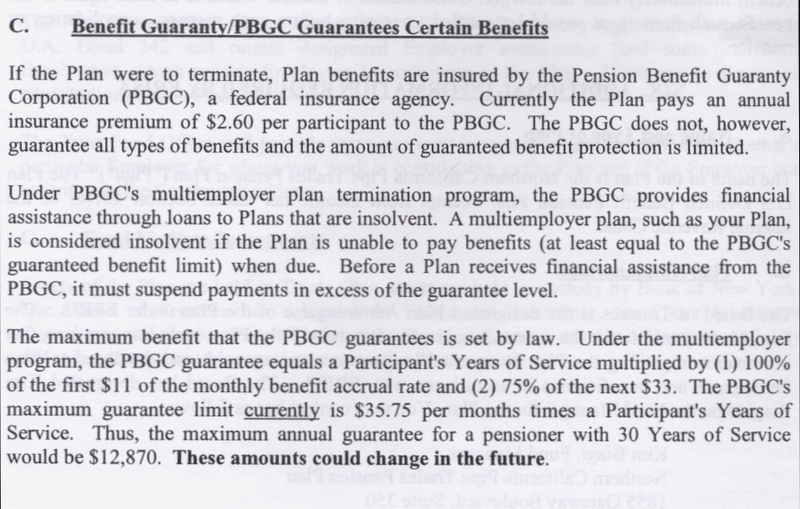 The PBGC would maintain that level, less nonmonetary benefits such as health coverages, through loans to the pension plan... LOANS, NOT GRANTS, MIND YOU! Think of it as fire insurance with a 50% deductable, you put the fire out before anybody shows up, no coverage of contents, you have to pay the living expenses back once you've rebuilt, and you rebuild on your dime. And the insurance company watches over your family finances in the meantime. Pretty cold comfort and piss poor protection...you just gotta make sure you never need to use it. 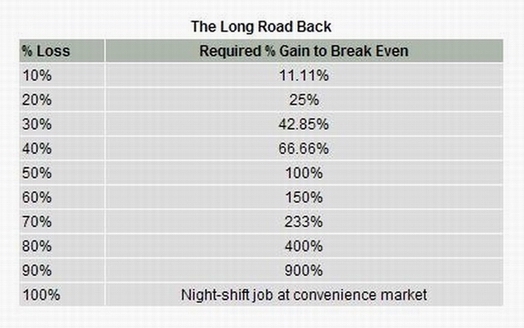 "The market always comes back." "Hold on for the long run." "Just be patient, you'll do OK" "Ya gotta be in the market at all times to do well ." "You can't time the market." "If you sell now, you'll be out when the market turns up." 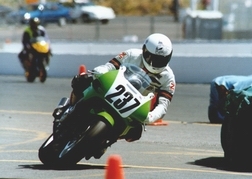 "Chasing performance is a sure way to underperform." "If you sell now, you'll lock in the losses." "Let the professionals make the decisions, they're a lot smarter than you are." The Defined Contribution Fund management site. Check out the Apprenticed Investor Series. There are diamonds lying on the ground if you just look.